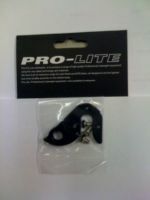 Last one in stock - clearance pricing - well below cost, grab a bargin! 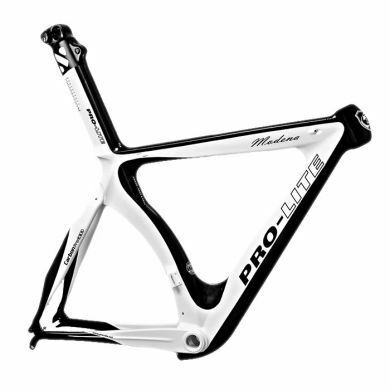 After several stages of development, we are ready to publically announce to the public, the Pro-Lite Modena Full Carbon Time Trial Frame. What better way to take advantage of wind tunnel testing than to use full carbon for ultimate control in design? Note some of the late-model aerodynamic choices such as contoured headtube and tuned lower line on the downtube. Extraordinary rigidity and power transfer is also accomplished with the high BB area molding.